How to get a Swedish IP address? 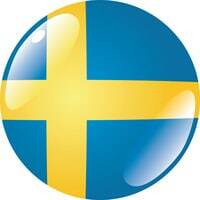 ipaddressguide.org > Blog > Local IP address > How to get a Swedish IP address? Sweden is a great nation and it is said to one of the best nations in the world to live in. Still, if you are not currently in Sweden you are not surfing the Internet with a Swedish IP address, and in case you are in need of that, you will find instructions on how to grab hold of a Swedish IP address here. Most people who need to get hold of a local Swedish IP address needs one because they want to watch Swedish television online, for example SVTplay.se. That site is though blocked with a geo-block so that people residing outside Sweden will not be able to watch it. What can you do to solve the problem? You need to grab hold of a VPN tool which will give you a local Swedish IP and which will unlock all content available only to those in Sweden. There are lots of VPN tools available on the net, but the easiest to install and to setup is HideMyass. You can read our HideMyAss review if you want to. How to get a Swedish IP address with HideMyAss? As you head over to their website you can make a subscription for a month or more. Once the subscription is made you can download their little program which is small of size so you will have it on your computer in 5-10 seconds. Once you have downloaded the program you need to enter your username and password and then you should select a server in Sweden (watch screenshot). Once the connection has been made you will need to restart your web-browser. You can see your new IP address in HideMyass or you can visit our What is my IP address page to check that you now surf the Internet with a Swedish IP address. Once all this is done (which is very easy) you can for example head over to SVTPlay.se and you are ready to watch Swedish television online within seconds. No buffering and no error messages, only live stream from Sweden available which you can enjoy throughout the entire world. At IP Address Guide we have used lots of VPN tools and services, but in general we can say that HideMyAss is our absolute favorite. Check it out for yourself and if you like it or if you don’t, share a comment and your experience in the HideMyAss review. This article was originally created in February 2013, but we have recently updated it to make sure that the information is up to date and that everyone in need of a Swedish IP address can find the best possible way to actually get such an IP address. Regarding the article HideMyAss. Please be aware that the latest update gives you one Swedish option “Sweden LOC1” where after it selects the server S1-S12 automatically. As swedish television basically only works on S4 and S5, HMA is no longer a preferred method. Hello! Based on your comment I just tried to watch SVTPlay.se using HideMyAss, and it worked perfectly with all servers. It is possible to manually decide what server to use with HideMyAss, so in case there are some servers that do not work, you can pick one of those working instead. I know that TV4Play did not work with all Swedish servers provided by HideMyAss, but in general it is normally only the oldest IPs that are blocked, meaning that servers 4-12 should work fine. Or can I have it on my iPad and share from that to my tv? Yes, you can!! You can either share your Windows VPN connection with the Smart TV, either connecting your Smart TV to the Windows PC using an Ethernet cable and doing some setup, or if you have two Ethernet cards. We will write a short how-to on this later! Or, you can setup your router directly, so that all your Internet traffic will be going through the VPN connection, and thus you will automatically be able to enjoy Smart TV using your VPN connection.